Bristle was our first homebred smooth champion. She was the mother of Ch. Domino Devil Dog, our first black smooth champion. Upon her retirement from showing and breeding activities, she took up residence with Gregg and Sonia Levethan, where she spent her last years as the queen of their house. 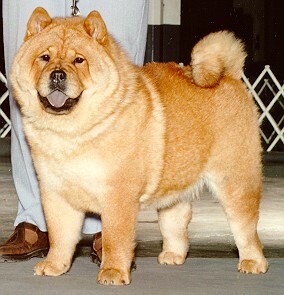 Page Hits: 12,414 © 1997-2019 Domino Chow Chows, All Rights Reserved.